Icing NYC & Free Food! | Run, Lindsay, Run! 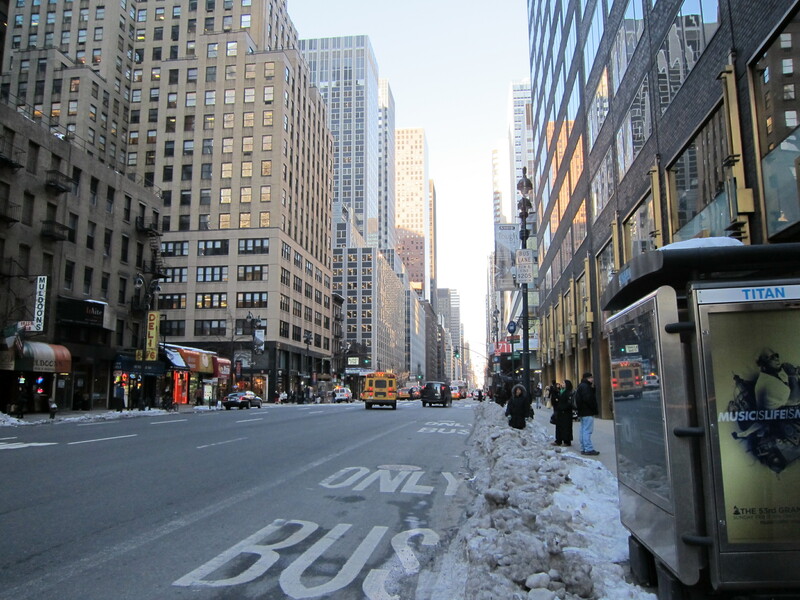 Icing NYC & Free Food! I think the winter blues are getting to me! Despite my best efforts to stay motivated, I think I’ve hit that inevitable point in my training where I just want race day to get here already. Unfortunately for me, I still have 6.5 weeks to go until 3/20. The dull, blah feelings could be a combination of things. It’s no surprise the weather has been brutal lately, making it oh-so-hard to want to get out of my warm bed at 6:45am each morning. Work has been much slower lately as our clients button-up details for 2011 activities, so I feel kinda lazy and bored all day as the clock ticks by. I haven’t been keeping up with my iron regiment as much, so I could be lethargic due to low-iron levels. I’ve also been upping my mileage lately, and guess I still have a bit more to go until the increased miles=increased feeling of fitness. Nonetheless, I get my miles in despite the ice and snow, and hope my lead legs turn to fast legs soon! As much as I hate the dreadmill, doing interval workouts or tempo runs are *dare I say* not that bad! Continuous runs are harder for me to stay focused when I’m on the treadmill, but when I switch up the pace it’s easier to focus on each ‘chunk’ at a time. 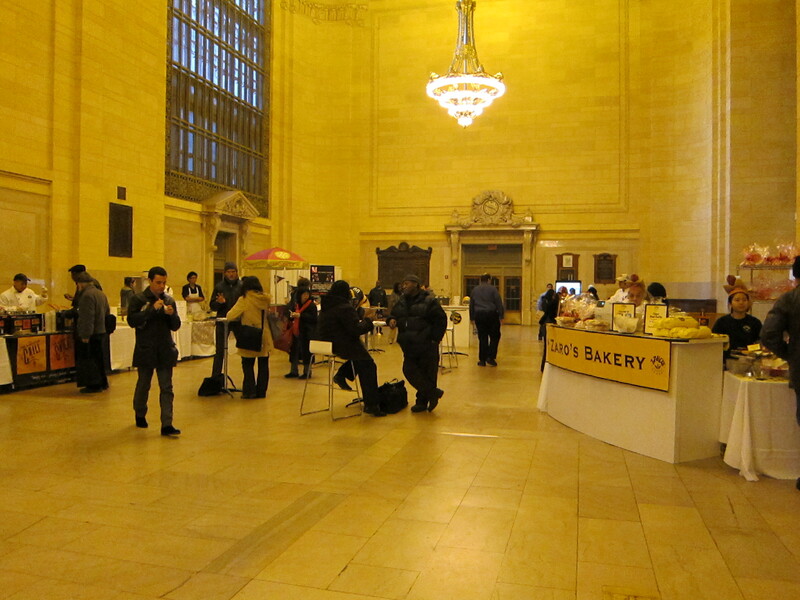 Yesterday, I read on Midtown Lunch that Grand Central was hosting a free food event this afternoon! 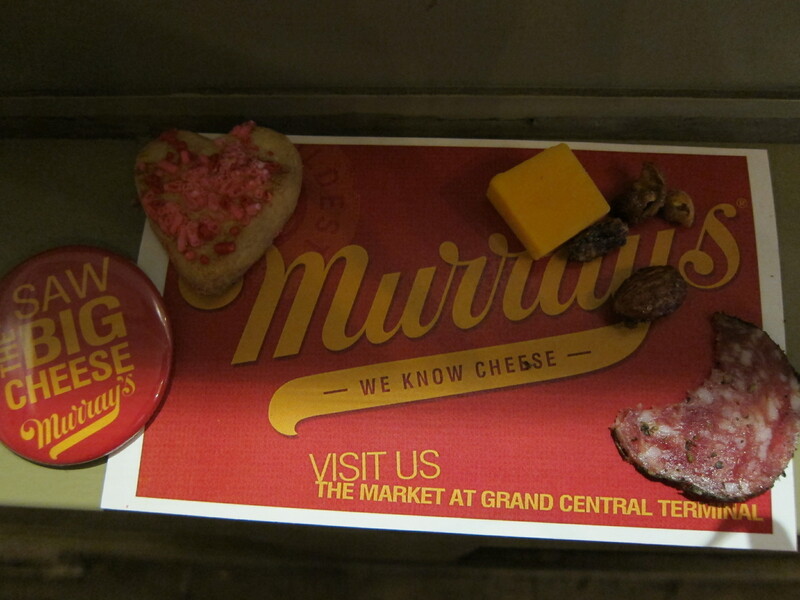 I just had to go as my office is only a block away from Grand Central, and let’s be honest…who doesn’t like free food? I admit, I was a bit disappointed in the turnout and selection. I went around 3:30pm and it wasn’t crowded, but there weren’t many offerings either. At the end of the day, it was a nice break to step outside momentarily. I rarely leave the office during the day and I appreciated the fresh air! How have you been coping with the winter weather so far? Do you enjoy running on the treadmill? I am feeling the winter blues too!! 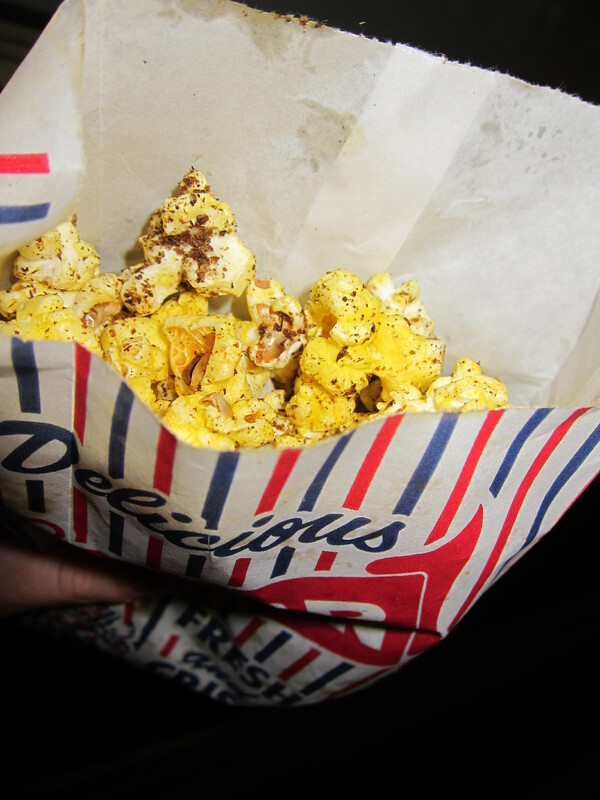 Yay, for free food and KILLER workout…you are a speed demon! I have the winter blues as well!! We need some sunshine and spring-summer weather soon 🙂 Hopefully looking forward to your race will change this around! !